So George, we’ll start with the basics for those of our members who haven’t gotten a chance to get to know you and go from there. Are or were you involved in any extracurricular activities in and/or outside school besides CrossFit? Currently I’m not part of any clubs/groups at LHS. Freshmen year I played football, baseball, and I wrestled. Growing up I stuck to those sports as well. When did you start Crossfitting and what made you decide to stick with it? I started CrossFit the summer of 2013, but I didn’t start training hard until the fall of 2014. 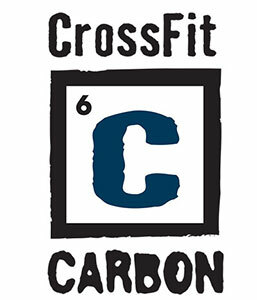 I stuck with it because I found the competition side of CrossFit really new and refreshing. The sports I had played before had just become boring. When I started training with the purpose of competing, I fell in love with spending time in the gym and putting in work. How often do you train a day / per week? Right now, during the summer, I train 2-3 times per day Monday-Saturday. Sunday is normally something easy like a long and slow bike or swim. During the school year I train after school from 4-7 on weekdays, and throughout the day on Saturday depending on what I’m doing. How do you balance crossfit training, school, friends, and family? I try and prioritize my time according to what needs to be done, then have the discipline to get it done. Summer is easy, but the school year is tough. I give myself three hours after school to train; then I eat, do homework, go to bed, wake up and repeat. During the school day I get as much of my homework done during breaks (lunch/study hall) in order to have less to do at night. Social life is pretty much non-existent during the school year. What do your family and friends think about you heading to the Games? In the beginning and throughout the Open (the CrossFit Games qualifier), they didn’t really understand what it was. Now they kind of get how it is a big accomplishment that I qualified. My family is very proud. What are your plans for after high school, in regards to post-secondary options and with CrossFit? Currently I’m searching for universities that could be a good fit, and I’ll start going on visits after the CrossFit Games. I plan on majoring in civil engineering while continuing training for CrossFit. Besides that, there’s not really a plan.